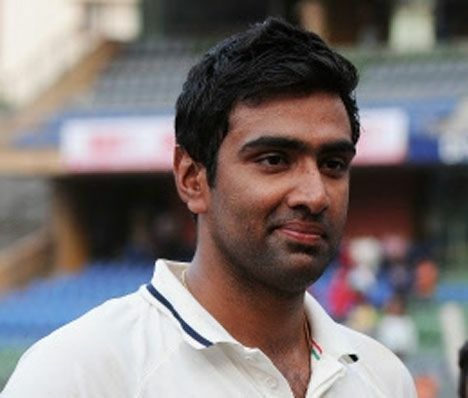 Ravichandran Ashwin pronunciation (born 17 September 1986) is an Indian international cricketer who is currently ranked as the number two Test all-rounder in the World. He is a right-handed batsman and right-arm off-break bowler. He plays for Tamil Nadu in domestic cricket and the Chennai Super Kings in Indian Premier League. He is the fastest Indian bowler to take 50 wickets & 100 wickets in Test cricket. He is the only bowler of recent times apart from Ajantha Mendis of Sri Lanka to bowl the carrom ball. His bowling has a lot of variation. He has been Indias highest wicket taker since his debut with 245 wickets in all forms of the game. He is a very handy lower-order batsman as well. He possesses a compact and correct batting technique and good temperament which has seen him score two centuries and three half-centuries in his Test career so far. Ashwin was born in a Tamil Brahmin family. He lives in West Mambalam, Chennai. He did his schooling from Padma Seshadri Bala Bhavan and St. Bedes. He attended SSN College of Engineering and graduated with a B.Tech in Information Technology. On 13 November 2011, Ashwin married his childhood friend Prithi Narayanan. Ashwin’s father Ravichandran played competitive cricket in Tamil Nadu. Ashwin is an all-rounder for Tamil Nadu and has taken 6/64 against Vidarbha in first-class cricket. He made his debut against Andhra Pradesh in Twenty20 cricket.He plays first-class cricket for Tamil Nadu and has played in the Duleep Trophy for South Zone. He was nicknamed "Dada" during his U-19 days while touring Dharmasala. He played for Chennai Super Kings in the Indian Cricket League. He became the highest wicket taker of the 2010 Champions League Twenty20 tournament for Chennai Super Kings in the tournament with 13 wickets and was adjudged as the player of the tournament and also got the Golden Wicket. Ashwin is a tall off-spinner who primarily relies on the bounce of the pitch to get his wickets, much like his predecessors Harbhajan Singh and S Venkatraghavan. But, unlike the other two, he is willing to flight the ball thereby giving it more chance to spin and dip on the batsman. In addition to his stock delivery the off-break, he has good control over his arm ball and the carrom ball the latter of which he uses frequently in the shorter formats. In IPL 2013 he was seen bowling leg-break and googly as well. However, in an interview, he has stated that he refrains from bowling the doosra as it requires him to bend and straighten his arm which he finds difficult to do.